WORLD WAR TOONS SERIES. 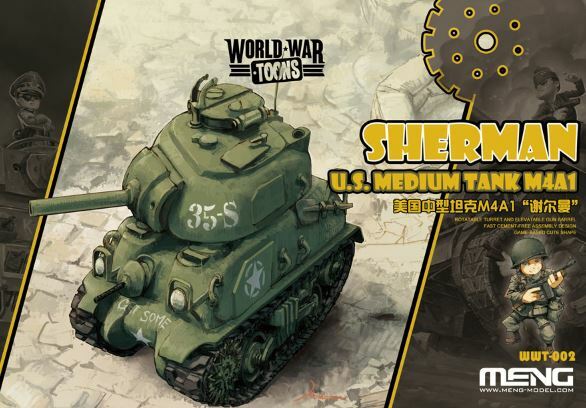 SHERMAN U.S. MEDIUM TANK M4A1. EASY TO ASSEMBLE, SNAP TYPE PRESITION FIT PARTS. HIGH DETAIL SURFACE.